Food Pantries are the first line of defense against hunger. The truth is that food pantries are not perfect. Not anywhere near perfect, actually. And, they never will be. How can they be near perfect when there is often not enough food in the pantry to feed the many people shopping there? But, they get to be as near to perfection as they do because the people who work in them are often retired, elderly volunteers who really care and have the time to put in extra effort. And, how can they be perfect when the food is mostly donated food that was on its way to the landfill before some enterprising person snapped it up for the hungry people in the line? And, the truth is that food pantries, to a certain extent, are neighbors helping neighbors. This is a wonderful attitude. The positive energy is exhibited in this sharing wonderful world, indeed. Without these wonderful people and their generous attitudes, people would be starving in this great nation of ours. Food pantries are our first line of defense against hunger. But, often these food pantries which depend to a great extent on the generosity of individuals simply don’t have enough food. Insufficient is the word used. Because there is little oversight, there is little control. So, a person shopping at a pantry may get enough to eat or may not. The quality of the food has little oversight. So, the person shopping may be getting food which is all out-of-date, or which is food which cannot be eaten by the person needing the food. An example of this is the person without teeth. People without teeth are very restricted in what they can take because they can’t chew many foods. Another example is the diabetic person who can only eat certain types of food without health problems. And, all quality issues aside, there may simply be insufficient food in the pantry to feed the number of people shopping even though a pantry is the first line of defense against hunger. 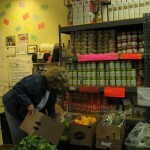 Personally, in the Good Neighbor Food Pantry, I had a morning when I ran out of food. I simply didn’t have enough food to give to the people. This was an experience I’ll never forget. Finally, the Hunger Prevention Nutrition Assistance Program people sent down guidelines requiring that pantries serve a three-day-supply of food for each person in the household. HPNAP guidelines required that pantries serve fresh or frozen fruits and vegetables. Pantries were asked to serve whole grain breads and low-fat milk. This was a wonderful thing which I applauded enthusiastically when I learned about the guideline. However, it was challenging to the many pantries without freezers and refrigerators. The truth is that pantries everywhere simply don’t have enough food to meet the demand. What can we do about this? For starters, we can realize that pantries are our first line of defense against hunger in this country. Then, we can follow up this realization with food donations throughout the year. One can of something every week helps over time. 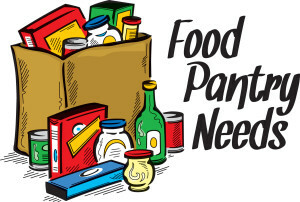 Find a pantry and give to help those in need. Do you plant a garden in the summer? Add a row for your pantry! Thank you for what you are doing for those in need. 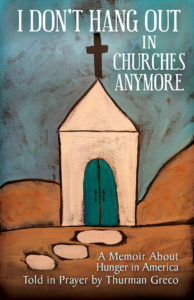 I Don’t Hang Out in Churches Anymore – Coming Soon! 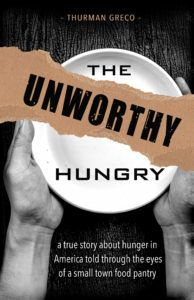 After countless reams of computer paper, dozens and dozens of writing classes, three computers and two copiers, the book about hunger is at the publisher’s! And, I actually heard the word “done” today! I’m ecstatic beyond words! Somebody else could have done it with only one computer disaster and one copier blow up. But, I never claimed to be a writer. This endeavor took years. And, it was worth it. I felt this story needed to be told when I started writing it in 2013 and I’m sticking to my opinion. Hunger in America was then and is now a national event which needs to be shared. 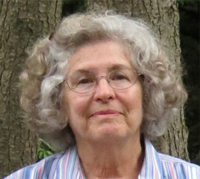 A real Woodstock story, “I Don’t Hang Out in Churches Anymore” tells about the people in the pantry, channels my grandmother, and reveals a few miracles. I’m proud to say that “I Don’t Hang Out in Churches Anymore” will, within days, be available in paperback and eBook editions on Amazon. I am already scheduling book signings for this book. If you are in the area, I look forward to seeing you at one near you! 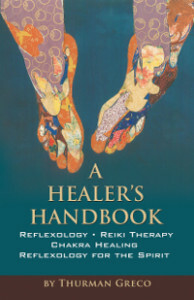 You can purchase this book by going to my website at http://www.thurmangreco.com. Order your copy, and please share this unbelievably exciting news! 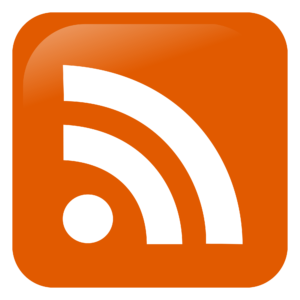 Please share this blog article with your preferred social media network!